In all my years in home improvement, I have witnessed what works as well as what does not perform well. 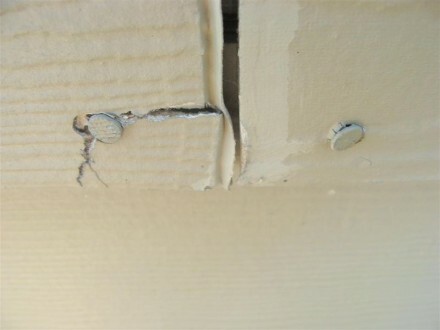 I cannot begin to tell you how many HardiePlank Siding jobs I have come across with face nails and just after a few years are showing cracks in the surface due to the improper nailing procedure that was used. In our extreme Southeast Texas summer heat and humidity, there will be some expansion and contraction in the James Hardie siding product. If the HardiePlank Siding is face nailed at the vertical edges (the ends of the plank), this is what could happen (Figure 9, at the right). When HardiePlank is face nailed, it should always be nailed in the main run areas away from vertical edges so cracking does not occur. If face nailing should be needed, it should be kept at a minimal use and away from each end of the plank if possible. 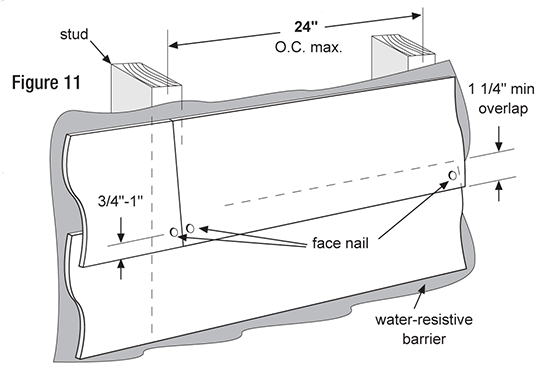 If face nailing should ever be required, for instance, let’s say if a plank is not lying flat, it should be nailed at least ¾” away from either edge (see Figure 11 left). 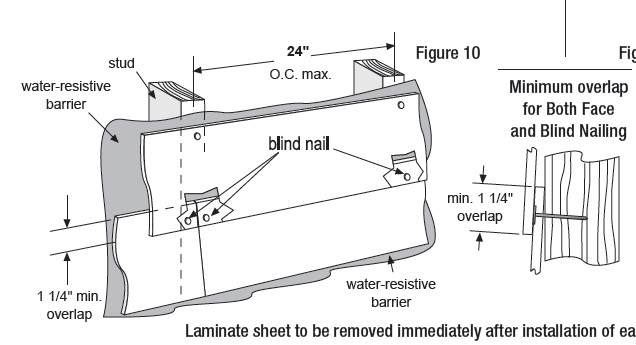 90% of the blind nailing should occur at the top of the lower panel of the siding that is being installed (see Figure 10 below). By nailing this way, the nails will also be covered and hidden by the next panel that is installed above it which is more visually appealing. This will ensure that there is no chance of breakage due to expansion and contraction after the HardiePlank crews are long gone. The beauty of properly installing HardiePlank siding will result in no cracking from the installation. 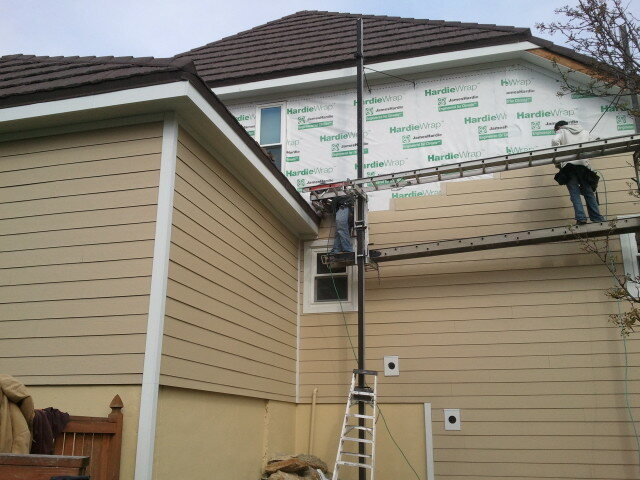 This in turn will provide a HardiePlank exterior siding job that will last for years! This entry was posted in Correctly Nailing, Home Improvement, Home Siding, Houston Texas, James Hardie siding, Texas Home Exteriors, The Woodlands Texas and tagged Conroe, Construction and Maintenance, HardiePlank, Home Siding, James Hardie, Kapitan The Siding man, Siding Installation, Southeast Texas, Spring, Texas, TexasGREEN Exteriors, The Woodlands, The Woodlands Home Exteriors. Bookmark the permalink.